Banglalink Pohela Boishakh Offer 2018! Home › অপরেটর নিউজ › Banglalink › Banglalink Pohela Boishakh Offer 2018! Banglalink Pohela Boishakh offer 2018. Banglalink brings Bangla New Year 1425 offer for their valuable customers. In this Bangla Novoborso offer, BL 1GB Internet Package at only 14 Tk. 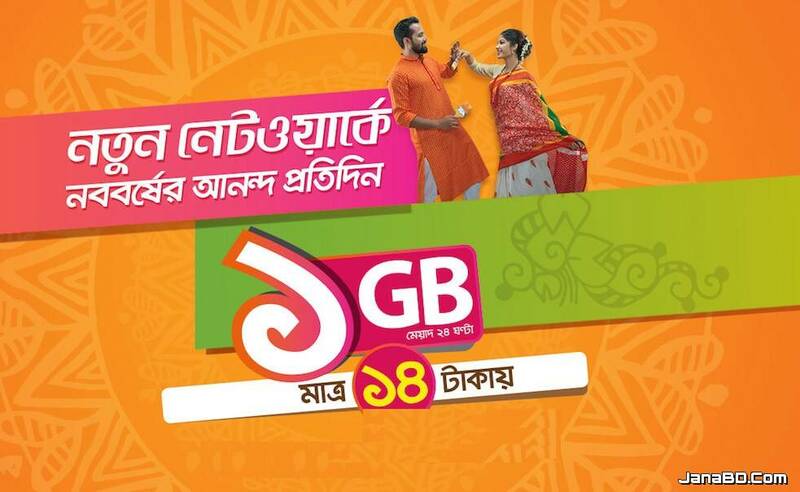 All the Banglalink Prepaid customers are eligible to buy Banglalink Noboborso offer 2018. • Read the details Information from the below and Enjoy the BL pohela boishakh offer. • All Banglalink Prepaid customers can enjoy this pohela boishakh offer. • Price is inclusive of SD, SC & VAT. • 15% VAT + 5% SD + 1% SC including in 14Taka. • The validity of BL MB Internet Offer days and internet start on after receiving a confirmation message. • the internet can be used 24 hours. • To check Banglalink 1GB Offer remaining internet balance, Just Dial *121*14#. • the package can be activated unlimited time during this offer period. • Unused Internet Volume will not be carried forward with others Banglalink internet Package. • After volume consumption, reduced Pay-as-you-go will apply. • This offer will be running until further notice . বাংলালিংক গ্রাহকরা এখন পাচ্ছেন মাত্র ৫টাকায় 1GB!